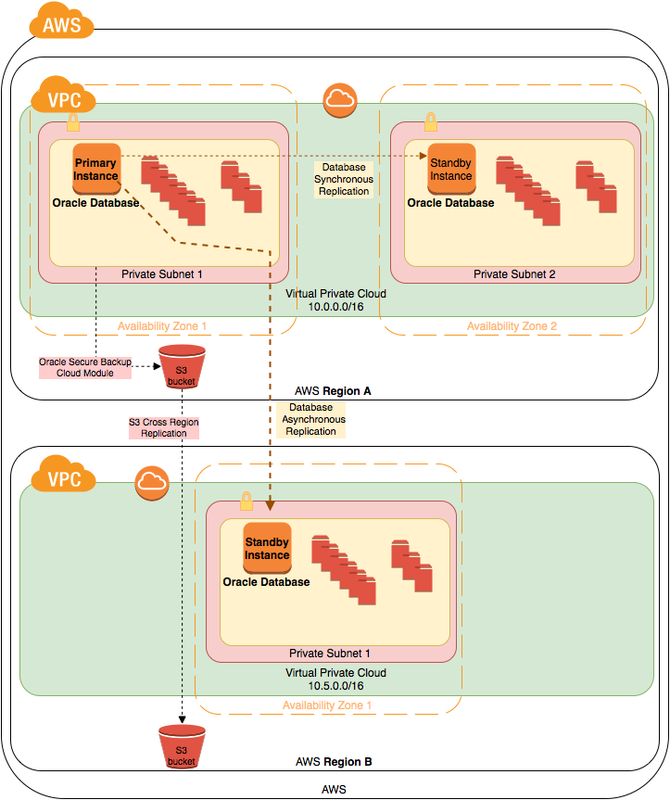 For the greatest fault tolerance and stability, you can set up a Data Guard copy of your primary database in another AWS Region. This is a common disaster recovery scenario. This copy must be replicated asynchronously, considering the latency caused by the distance between regions. Asynchronous replication avoids performance impact in your primary database, which are probably connected to each to standby database through a VPN connection. For this scenario, you should also consider replicating your backup objects in an S3 bucket to make them available in more than one region using cross-region replication.